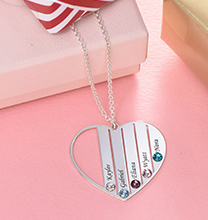 Treat mum, grandma, or yourself to a special gift! 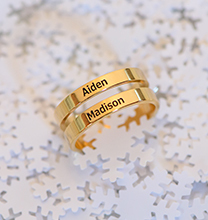 Perfect for any occasion and sure to bring smiles, our Gold Plated Mum Bracelet with Kids Names (Oval Design) offers a distinctive look and endless opportunities for personalisation. A signature piece that she can wear with just about everything in her closet, it is certain to become a favourite! Customising is easy: Start by selecting the number of ovals, and then add a name, date, or meaningful word to each. 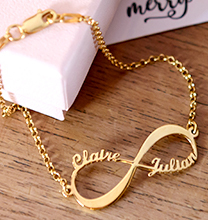 Made of sterling silver with 18ct gold plate for a soft glow that looks beautiful next to skin, this lovely bracelet comes with your choice of three to six ovals, all connected by a matching rolo chain bracelet that offers a delicate appearance while providing secure wear and a perfect fit. 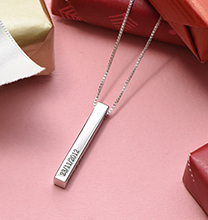 This personalised bracelet is also available in your choice of 18ct rose gold plate or sterling silver. 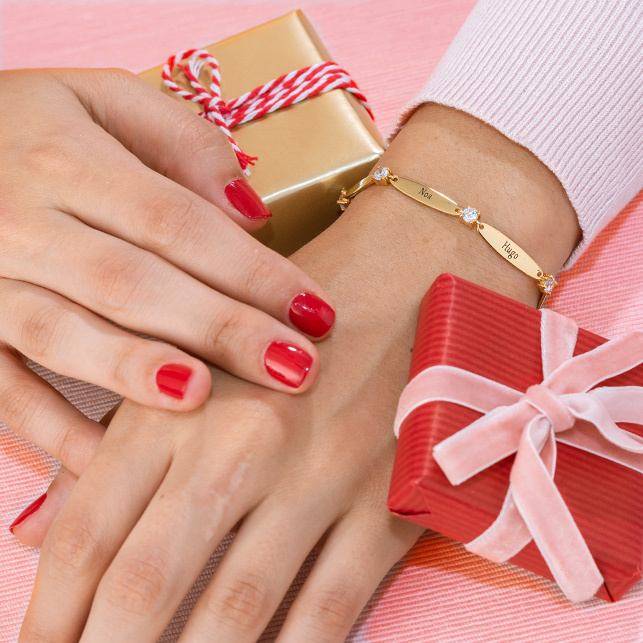 See our collection for even more mothers bracelets in styles she’s sure to love. 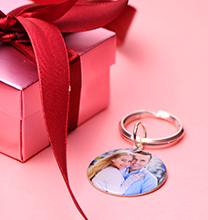 This item is also available in Silver and Rose Gold Plating.